By Dr. Shawn Messonnier. New World Library. $14.95. Help’s out there for your aging, arthritic dog, but it isn’t always in the most conventional mode. 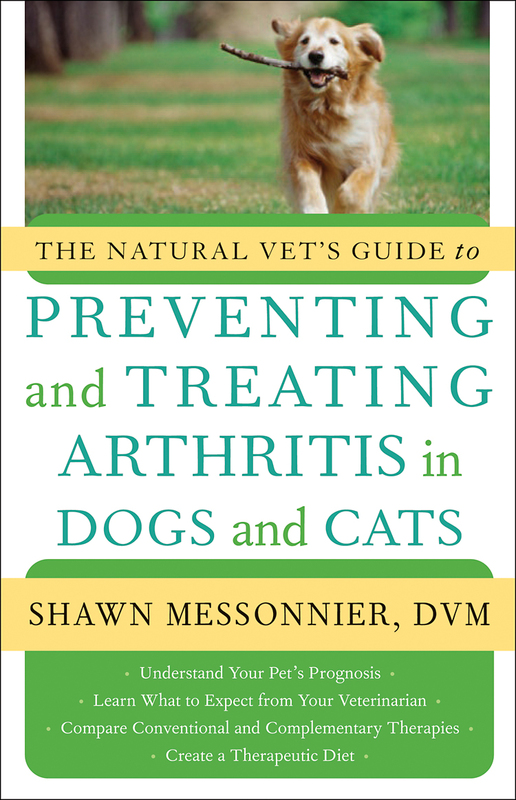 This important volume, while emphasizing “old age isn’t a disease,” encourages owners to seek out all options of pet care while squarely pointing fingers at the veterinary-medical profession for misdiagnoses and consequentially exacerbating the pain. Messonnier, a Texas veterinarian who practices both conventional and holistic medicine, notes that lameness doesn’t always denote arthritis, which is inflammation of the joints. The culprit could also be hip dysplasia, cancer or degeneration of the spinal nerves. Hence the need for a thorough diagnostic work-up. Misdiagnosis is often compounded with long-term administration of potent drugs, says Messonnier, which inhibit healing and cause additional destruction of the cartilage and joint components. “As a holistic doctor, I prefer to ‘treat the pet’ rather than ‘treat the disease’ (at best) or ‘treat signs and symptoms’ (at worst),” he explains. Messonnier’s empowering and persuasive compendium is showcased in an easy-to-read format of anecdotes and sidebars that connects powerfully to the reader. In the process, the fresh insights encourage the owner to demand more, ask questions and get answers on his/her ailing pet’s behalf. That alone makes this a must-read.